The layout of your home can create more ‘space’. Using modern methods furniture and cupboards can be subtly integrated into the layout. 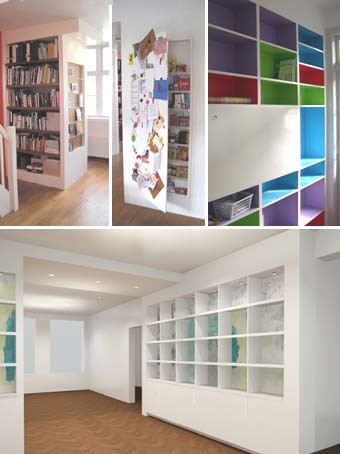 I try to incorporate storage space and cupboards into the design where they provide a spacious sculptural effect. A home is not filled with numerous cupboards, but a more sculptural identity is added to the space. Using this method personal furniture items are distinguished in your home. Furniture designed by King Architects influence their environment, the feelings of the inhabitants. Sometimes the environment is an influence on the furniture and sometimes the other way around. Sometimes the furniture has to scream, or to whisper.